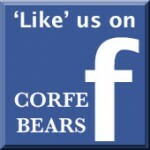 Corfe Bears > Charlie Bears > JOANNE 21"
If you are called Joanne (and quite a lot of our regular customers are!) or know someone called Joanne, then this will be the perfect namesake bear! 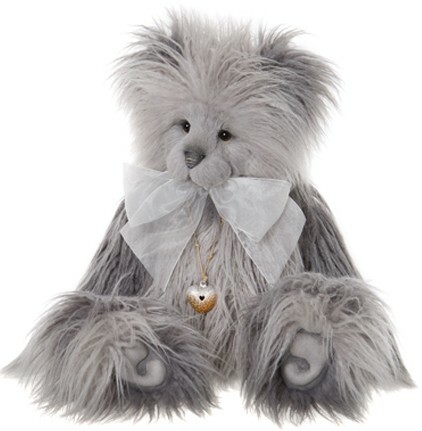 Joanne is a beautiful, collectable bear that will melt a lot of hearts! Just look at her fantastic cuddly, long-pile light and dark grey fur - it's amazing! Her paws have the famous "tickly toes" and her adorable dark eyes peep out from the fur and they have white underneath, which adds to her cute factor. She has a grey two-tone hand-stitched nose and a delicate organza bow and pendant complete the look of this wonderful bear! Joanne is from the Charlie Bears 2019 Collection.